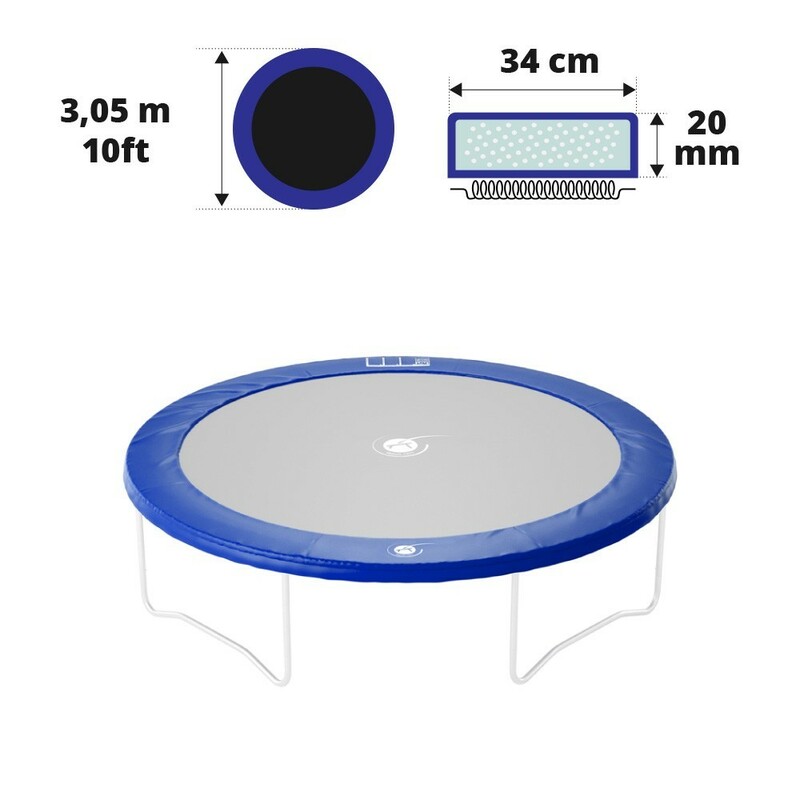 Resistant blue frame pad for your recreational trampoline 300. Quality spare part for your 300 trampoline. For any family with a trampoline, safety is paramount. Checking the components of your trampoline should be done regularly and more particularly the enclosure, the jumping mat and the frame pad.If they are damaged they should be replaced for optimal safety. This frame pad can be fitted to any trampoline with a diameter of 3.05 m and if the springs are between 140 and 180 mm in length. - This spare part can be fixed to your 300 trampoline from the Hop, Jump’Up, Oxygen or Access range. 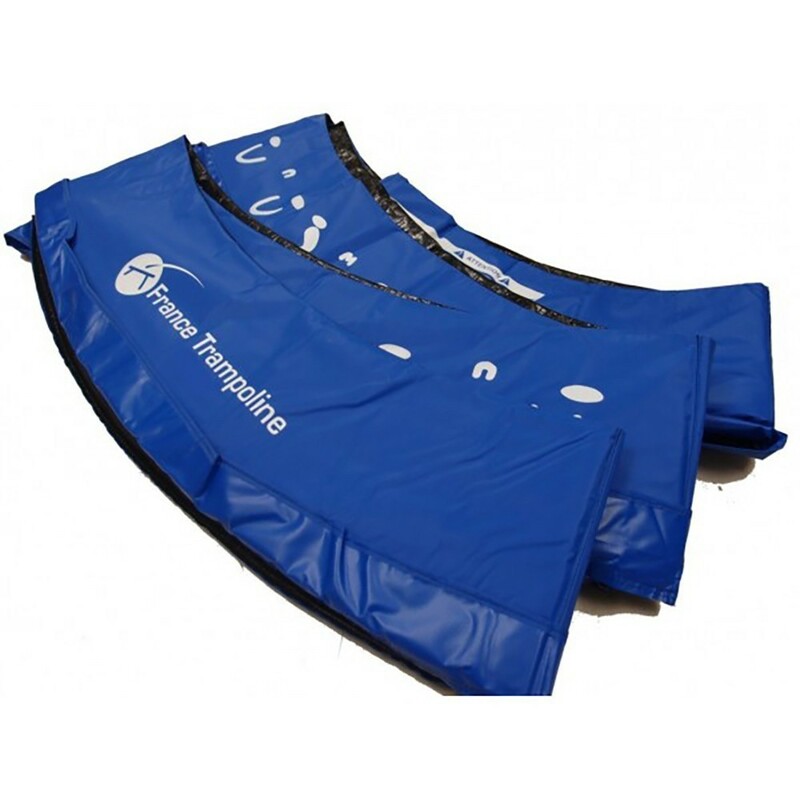 If you bought your trampoline from another company than you can still order this frame pad as it can be fitted to any trampoline, as long as it has a diameter of 3.05 m and the springs are smaller than 180 mm in length. - It's monobloc foam is 25 mm thick, very resistant, waterproof and flexible. It is made from expanded polyethylene, which is more shock absorbant compared to thin strips of foam, which can move around. - The frame pad is made from a foam monobloc, contrary to many other pads on the market, so it will not be as fragile and will remain intact. - The thick technical PVC coating which is 650 g/m² and has been UV protected, will protect your frame pad and means it can remain outside whatever the weather. It is fully tear-proof. - Black elastic straps are used to hold your frame pad to the framework. 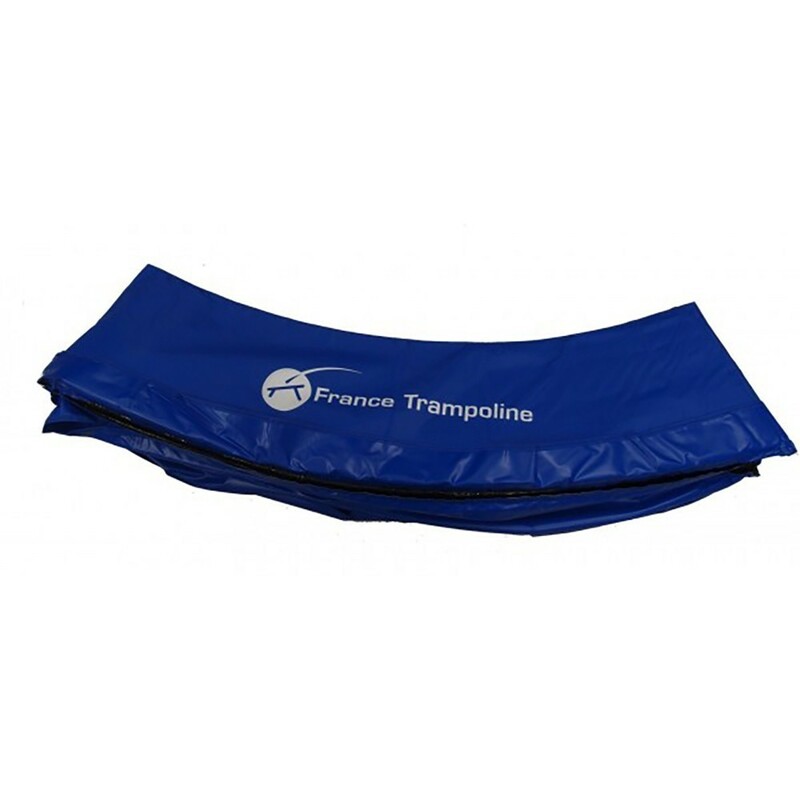 The part of the frame pad which is resting on the jumping mat will freely move with the movements of the trampoline. Excellente qualité. Meilleure que la protection d'origine d'une autre marque.